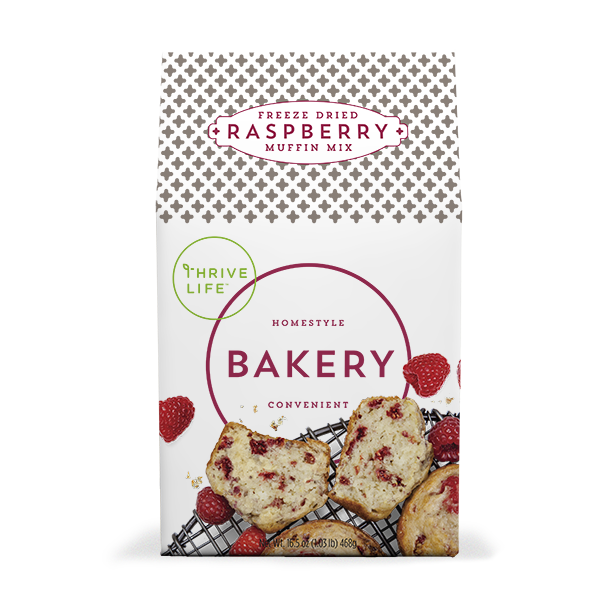 Dig into perfectly fluffy muffins packed with rich raspberries from a family-owned farm! Made with clean ingredients you can trust, every bite is one to remember. These delicious, homestyle muffins are packaged in a colorful single-serve box that's perfect for morning breakfast or sharing with a friend! Pure Cane Sugar, Unbleached White Flour (Enriched Wheat Flour, Niacin, Reduced Iron, Thiamine Mononitrate, Riboflavin, Folic Acid, Enzymes), Shortening Powder (Soybean Oil, Maltodextrin, Sodium Caseinate, Mono And Diglycerides, Disodium Phosphate), Raspberries, Baking Powder (Sodium Acid Pyrophosphate, Sodium Bicarbonate, Corn Starch, Monocalcium Phosphate), Food Starch-Modified, Natural Vanilla Flavor, Cornstarch, Xanthan Gum, Iodized Salt. Place 12 paper baking cups in a muffin pan or spray pan with cooking spray. Mix water, oil and eggs together in a bowl. Spoon batter into muffin cups using about ¼ cup batter. Bake for 13–15 minutes until golden brown and a toothpick comes out clean, or tops spring back.